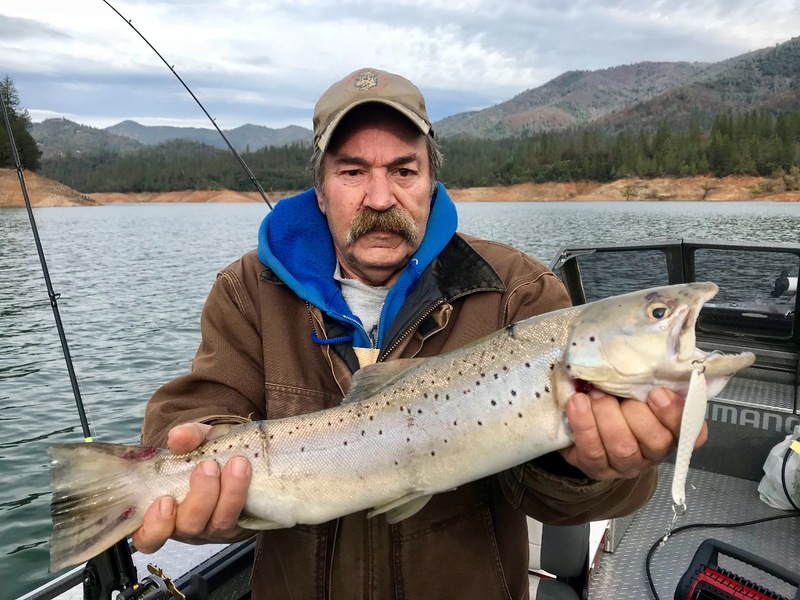 Randy with his Shasta Lake brown trout he caught today in Hirz Bay! 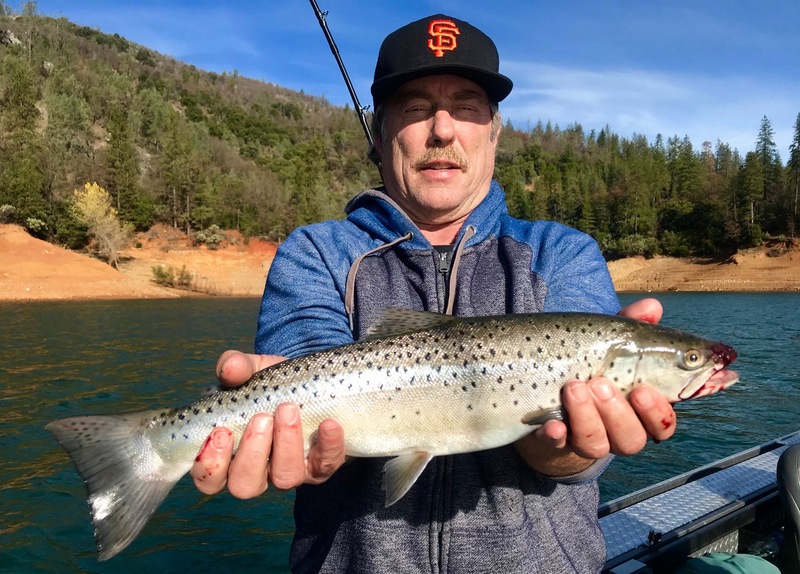 Shasta Lake has been producing both rainbow and brown trout this week. I've been on the McCloud Arm every trip the past few months, so I cant speak too much for the rest of the lake. I've been focusing on the brown trout and have found some nice multi pound specimens trolling above 3.5 mph and using Church Tackle side planers to get my spoons away from the boat. 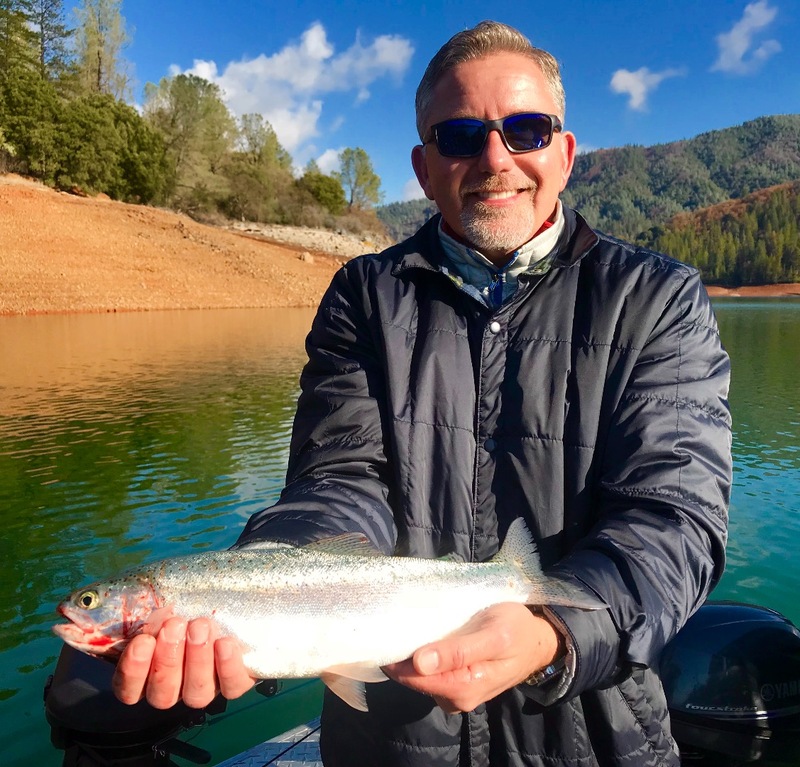 Big Optimizer spoons are true trophy getters, but if its numbers you are after, downsize your presentations and slow your troll to 2.5 mph or less. I'm catching most all my fish on the surface, have fished deeper (20'-30') with some limited success. Mornings and late afternoon to early evening bites have been the norm this week. If I had to pick a time to fish right now, I'd go with noon to dark vs. first light to noon. The trout are spread out so plan on covering a lot of water to find your fish. Tight lines!